In 2009, SAFETEA-LU—the legislation that outlines federal transportation funding for the states—expired. Since then, members of Congress have been kicking the can down the road, passing funding extensions instead of passing legislation. The major impact of this failure to act is that the U.S. continues to slip further and further behind other countries when it comes to having a state of the art transportation infrastructure that can foster economic development. While the average citizen is frustrated by congestion and other inefficiencies that cause them to sit in traffic, wasting time and money, imagine what it’s like for business owners. While safety is a huge concern, another big problem is the crumbling freight network including rail lines and ports. In fact, according to a recent Reuters story, American coal miners pay four times more than Australian miners to transport their coal to port and get it loaded on the ship. This higher transportation cost makes it difficult for the American companies to compete in the global exports market. According to the same Reuters story, as it stands, the U.S. spends about two percent of GDP on infrastructure—about half what it spent 50 years ago. Europe, on the other hand, spends about five percent and China, nine percent. The political climate in Washington right now signals that an increase in transportation infrastructure funding is unlikely. But not investing in the infrastructure is costing the U.S. $129 billion a year, according to the American Society of Civil Engineers. Even more alarming is that if investments in the infrastructure are not made soon, the ASCE estimates that within the next decade, U.S. businesses will pay an additional $430 billion in transportation costs, household incomes will fall by $7,000 and U.S. exports will fall by $28 billion. And yet, Washington continues to look for ways to slash federal agency budgets. One definite casualty of these cuts will be the transportation network that at one time put the US on the leading edge of innovation and economic growth. Analysts, investment advisors and transportation experts agree a weak transportation infrastructure will have detrimental effects on the U.S. economic recovery and severely limit future growth. Melissa Savage is a subject matter expert with SAS Institute, Inc. focusing on transportation issues facing state and local governments. Prior to her position with SAS Institute, Inc. Ms. Savage was a Program Director at the National Conference of State Legislatures (NCSL) in the Energy, Environment & Transportation program. During her 13 years with NCSL, Ms. Savage authored several publications on transportation issues, testified before state legislative committees and represented NCSL and the interests of state legislatures before national transportation organizations and working groups on a variety of topics. 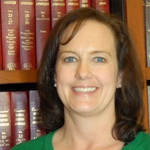 Before working at NCSL, Melissa worked in the Office of Legislative Legal Services at the Colorado General Assembly. She received her master’s degree in public administration from the University of Colorado and her bachelor’s degree from Colorado State University.